Give yourself a pat on the back, because you’ve just found what will become your new favorite hair product! Toppik Hair Building Fibers will give you the look and feel of a full head of hair within seconds. No more thinning parts, fine hair, or thin areas around the crown or hairline – Toppik Hair Fibers will give your hair natural-looking thickness while lasting throughout the day. If you’ve always wondered how to get thicker hair, you will not regret the decision to try Toppik Hair Building Fibers. Our product is made with the highest grade of keratin hair fibers, and blends seamlessly with your existing hair to create a completely natural look. Now that you have Toppik Hair Building Fibers, we want to make sure you have everything you need to achieve thicker, fuller hair instantly. Getting thicker hair has never been easier, and we have many tips and tricks that we’ve learned or perfected over the years from customers, stylists, employees, and our founders to help make sure you know all the insider secrets. Toppik Hair Building Fibers have been around for over 30 years, and were the first of its kind in the cosmetic and hair industries. Our Hair Fibers are the most recognized and preferred because of the type of hair fibers we use. While other companies use synthetic or low-grade keratin hair fibers made from fish bones, nails, or hooves, Toppik uses keratin hair fibers made from only the highest quality. This means using premium keratin hair fibers from a natural wool source. The natural keratin that we use separates us from our competitors because it ensures that our hair fibers cling to the hair on the head with an innate static charge that the natural keratin hair fibers hold. 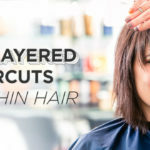 Other hair fibers that might be produced from cotton, plant-based materials, or rayon do not have the innate static charge, and therefore are not long-lasting because they do not adhere to a person’s hair. Using a premium wool source for our keratin hair fibers also means that you are getting the most natural look and feel when using a hair concealing product. Our keratin hair fibers are nearly identical to human hair because of the wool that we use. 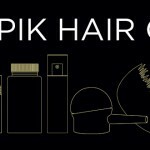 There isn’t necessarily a wrong way to apply Toppik Hair Building Fibers, but there are some useful tips and tricks to ensure you are getting the best use of your Hair Fibers bottle. There are essentially two ways we recommend applying Toppik Hair Fibers. The first is using the built-in sifter cap, and gently sprinkling the Hair Fibers into any thin or thinning areas by shaking the bottle. It is best to use this method when you have larger areas of thin or thinning hair, since the Hair Fibers easily cover wider areas when dispensed from the bottle. The second way to apply Toppik Hair Fibers is by using the Toppik Spray Applicator. By removing the sifter cap on the Hair Fibers bottle and replacing it with our patented Spray Applicator, you now have a more precise way to target specific areas of thinning. The Spray Applicator works well for hard to reach places, part lines, and hairlines, and easily screws on and off to accommodate your specific needs. Toppik Hair Fibers also work great on natural hair, thinning edges, and can even be used to cover up extension tracks! 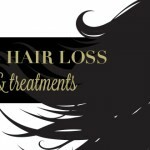 Our Hair Fibers aren’t limited to men and women with thin and thinning hair either; there are many different ways to use and apply this dynamic product. Hairstylists know how to make hair thicker for their clients, and their secret is often Toppik Hair Building Fibers. As the final finishing touch, it’s a great way to show clients how they can get fuller, thicker hair every single day. 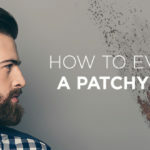 Whether they’re covering up thinning hair, giving hair a thicker look and feel, or concealing a receding hairline, these hairstylists keep Toppik Hair Fibers in their back pocket because they know how well this secret weapon works. Toppik Hair Building Fibers are easy to apply, but with these application tools, you’ll get the most flawless and long-lasting results using Hair Fibers. If you plan on using Hair Fibers closer to the hairline, a great tool is our Toppik Hairline Optimizer. Made of plastic with an irregular teeth pattern, this tool mimics your actual hairline, so you can apply Hair Fibers and still get a natural, even hairline. The Hairline Optimizer means there is no mess or spilled Hair Fibers along your hairline and forehead! Our most popular application tool, the Toppik Spray Applicator, is great to use in combination with the Hairline Optimizer because it helps fill in specific areas of thin or thinning hair. It works well along the hairline, and can also be used on your part line, to access harder to reach places, or to help fill in any smaller areas that need extra attention. If both of these products appeal to you, the Toppik Hair Perfecting Tool Kit might be your best answer for how to make hair thicker. This kit includes one Toppik Hairline Optimizer, one Toppik Spray Applicator, and one travel-size Toppik FiberHold Spray. If you’re looking for even longer-lasting results, using Toppik FiberHold Spray is a must. This spray actually strengthens the bond between Hair Fibers and your hair, making sure your Hair Fibers stay in place for as long as you need them to. Over the years we’ve found some of the below tips to be very useful and time-saving for our customers. We offer nine Hair Fibers colors that match almost any hair color, but if for some reason you can’t find your exact match, the best thing to do is mix more than one shade to create your exact color. One option is to pour both colors into a bowl, and mix until you get your desired color. You can then pour the contents back into a Hair Fibers bottle and apply as you normally would. Another way to mix colors together is to pour one of the colors into the second Hair Fibers bottle until you achieve the color you are looking for. Toppik Hair Building Fibers can also be used on eyebrows! To make eyebrows thicker, we recommend using the Toppik Spray Applicator to help with a more precise application and to avoid making a mess. If you have a small eyebrow brush, you can also dip this into the Hair Fibers bottle and apply directly to your eyebrows. If you’re always on the go, we make the perfect travel-size Hair Fibers bottle, so you’re never without this hair-perfecting product. Slip into your purse or carry-on and enjoy touch-ups whenever they’re needed! Do you have any special tips that you use for applying Hair Building Fibers? Or want to ask more questions? Comment in the section below and we’ll answer them! 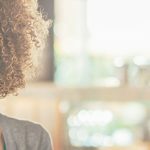 We hope you’ll use some of these helpful tips with your new Hair Fibers purchase and become a pro yourself in applying Hair Building Fibers. Check back next week because we’re giving dads some love for Father’s Day! Hi Erica, Thanks for your comment. Do you use the Toppik Spray Applicator or do you shake the Fibers on your hair? If you haven’t already, give the Spray Applicator a try: https://www.toppik.com/shop/spray-applicator/ It helps you more precisely apply the fibers right where you want them. Thank you. Hi, its fastidious post on the topic of media print, we all understand media is a impressive source of facts. Very efficiently written post. It will be helpful to anyone who employess it, including me. Is this toppik, going to give me a natural fuller hair? Like if I wash my hair , will the toppik go off?? I just tried the hair fibers for the first time tonight and I did use the spray afterwards. However, when I barely touch my head, I have the fibers on my fingers. Is there any way to prevent that from happening? I don’t want to lay on a pillow somewhere and have them on the pillow. Or is there no way around that? Other than that, I am loving the product so far. It really covers all my bald spots I have been so self conscious and embarrassed about! Hi my boyfriend uses your product its a great product i must say my only issue is no matter how much we spritz it it doesnt stay on once he lays down to go to sleep its off by morning anything he can do so he’s not doing it every single day? They key is you need to add a small amount of soft wax. Use finger circular rub on palm me use spatingling on hair this will help.along with fibre spray. Hi I’m wondering if I’m doing something wrong. I put the toppik in my hair but if I touch it it falls right out. Its like it has no hold. Please help me with any tips on how to keep it from falling out my hair so easily. Have you tried using the Toppik FiberHold Spray after you apply the Hair Fibers? This helps give hold and delicate shine to your Hair Fibers application. Hi, can i still comb my hair after i applied the fibre? 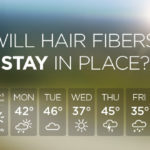 will the fibre go away once i comb my hair? Can I (durag) tie hair? According to one of the videos, he doesn’t blend it in, just sprinkles it on top and then uses the hairspray, do you not blend it in using your finger tips to make sure it blends in well ans settles? Can I use hair cream or hair gel after applying the fiber? 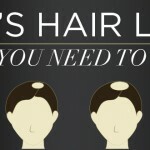 It’s best to use the fibers after you apply hair cream or hair gel instead of before. Style your hair as normal and then apply the fibers to help create the appearance of fuller hair. I have been using this product for years but I use a tight comb to make a part. I feel that it’s less noticeable that you have product in your hair. A more natural look. 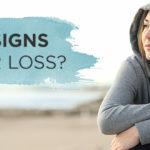 I have a severe lanolin allergy , can I still use the wool fibres? Hi Janet – I believe you reached out on the Toppik Facebook page as well, and we are answering your questions there. Please let us know if we can help with any other questions you might have from this blog post! Hi Sumin – Toppik Hair Fibers will stay in your hair until you wash them out with shampoo. You may need to reapply if you have them in for a longer period of time, but other than that they will stay in until you wash your hair. Why do you sell both the Fullmore and the Toppik covering sprays since they seem to be competing products? Hi Tom – We are selling both because we are transitioning out of Fullmore Colored Hair Thickener and into Toppik Colored Hair Thickener. Toppik Colored Hair Thickener is the same great formula as Fullmore but with a new and improved spray formula. There are currently only two colors left of Fullmore, and once it runs out, we will take it off of the site. I hope this helps answer your question! Please let us know if we can help with anything else. I was a user for many yrs of “white” Fullmore. When this was discontinued I was very upset. One of your Sales people urged me to try the new colored thickener . I tried the “Grey” which turned out to be a lovely , soft grey, almost to beige. Even tho’ the formula is the same, the new one seems superior to Fulmore.. I couldnt be happier with the new product…and I can always sprinkle some Toppik White fibres to lightn spots even more. from a very grateful user. Does sweat removes the fiber powder from your head after application? And can we comb our head after application? And what is the use of spray which Jonathan uses after sprinkling that powder? Hi Shabaz – Toppik Hair Fibers will stay put through wind, rain, and perspiration, but if you are planning on working out and sweating profusely, we wouldn’t recommend wearing Hair Fibers while doing so. It is different for every person though – we have heard from some customers that they use Toppik Hair Fibers while working out and it stays perfectly in place. We would not recommend combing your hair after applying Toppik Hair Fibers, you should style your hair first and then apply Toppik Hair Fibers as the finishing step. If you need to comb or brush your hair after applying, you may need to reapply a little of the product. After applying Toppik Hair Fibers, Jonathan applies Toppik FiberHold Spray to further strengthen the bond between Hair Fibers and his hair. Using the FiberHold Spray ensures even longer-lasting results. Please let me know if you have any more questions!